When a student is consistently having trouble in class, a strong teacher will work with the child to learn different ways to tackle the subject. This is good teaching and basic common sense. When one approach doesn’t work, trying it over and over again is doomed to failure. That’s what makes the mayor’s approach to struggling schools so dumbfounding. Rather than changing course, de Blasio is actually doubling down on his failed model. Many Renewal schools will remain open even though they are failing to serve children effectively. P.S. 165 will remain open even though just 9 percent of students are proficient in math and enrollment has dropped by 51 percent. P.S. 112 will remain open even though just 7 percent of students are proficient in English Language Arts, the same as when the school entered the program. Fannie Lou Hamer Middle School will remain open even though math scores have dropped every year it’s been in the program. Families with children at these schools understand the situation far better than the mayor — enrollment in Renewal schools has dropped 26 percent over the life of the program. De Blasio won’t let evidence of failure curb his flowery rhetoric, though. On Monday, the DOE trotted out yet another marketing slogan to put a happy face on disappointing results, with a new program called Rise Schools for 21 Renewal schools deemed improved enough to transition out. Sadly, this new moniker merely rewards continued failure: 78 percent of students at these schools are not proficient in ELA, and 84 percent are not proficient in math. When de Blasio began the Renewal program, it was on a hunch that he could fix schools. He set out to prove Bloomberg wrong and show that school turnarounds, rather than closures, were the answer. But even more than that, he wanted to make the political point that Bloomberg’s approach was uncaring. What’s now clear is that the supposedly caring approach is the one that left students in failing schools for three years longer than they should have been. 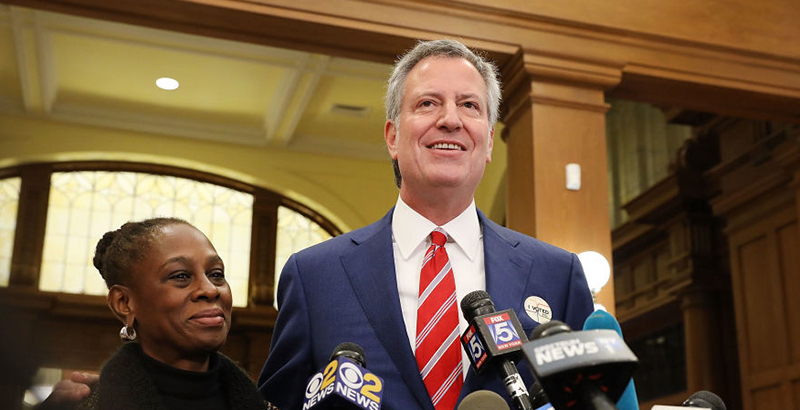 De Blasio must now admit that his approach was flawed, and he should learn two important lessons from Bloomberg. The first is don’t wait — when the signs are there, take quick action based on what we know works. The second is open better schools. When Bloomberg closed schools, he replaced them with new, small schools and expanded charter schools to give parents choices. De Blasio would be well-advised to learn from Bloomberg’s success. The Research Alliance for New York City Schools at NYU found that his policy of closing low-performing high schools “produced notable benefits for the middle schoolers who would have enrolled in these schools.” MDRC found that the new, small schools increased graduation rates for students of color, boosted attendance, and cost less per graduate than the schools they replaced. The Center for Research on Education Outcomes at Stanford found on average that charter school students in NYC gain an additional 23 days of learning in reading and 63 days in math over their district school peers. There’s an old saying that if you find yourself in a hole, the first thing to do is stop digging. By continuing down a path of proven failure, de Blasio is digging a hole that many kids won’t make it out of. Instead of shuffling students and teachers from one failed program to another, it’s time for the city to create new opportunities for kids who need them. Jenny Sedlis is the executive director of StudentsFirstNY. 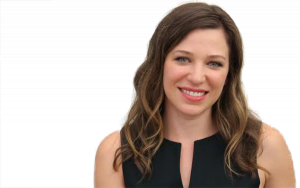 Jenny Sedlis is the executive director of StudentsFirstNY, a leading education reform organization dedicated to improving public schools throughout New York state.